LR’s extensive Nigerian agricultural project is bringing Rivers State into the era of cutting-edge farming. Modernized infrastructure and strong agricultural support services foundations are envisioned in order to provide significant encouragement and enhancement to the entire agricultural sector throughout the region. Provide the region with improved agricultural methods, advanced technologies, and capacity building capabilities to revitalize agricultural production and further develop the value chain. Farming had been the backbone of the Rivers State economy for many years. However, the focus changed when oil was discovered in 1956. With the right training in modern techniques and equipment, Rivers State could return to its former glory as a leading African agricultural center. Today, most farming in the area is done by small-hold farmers. Since 2007, all Rivers government administrations have prioritized the expansion of this sector. LR’s Adama Rivers project is an exciting step toward that goal. Revitalize the agriculture sector by developing a sustainable, consolidated agro-industry. In partnership with the Rivers State government, LR Group believes that this large-scale rural agricultural development project can significantly improve the lives of people throughout the region. The agricultural villages, modern commercial facilities, and the project as a whole, provide the potential for intensive socio-economic development through a complete value chain framework. 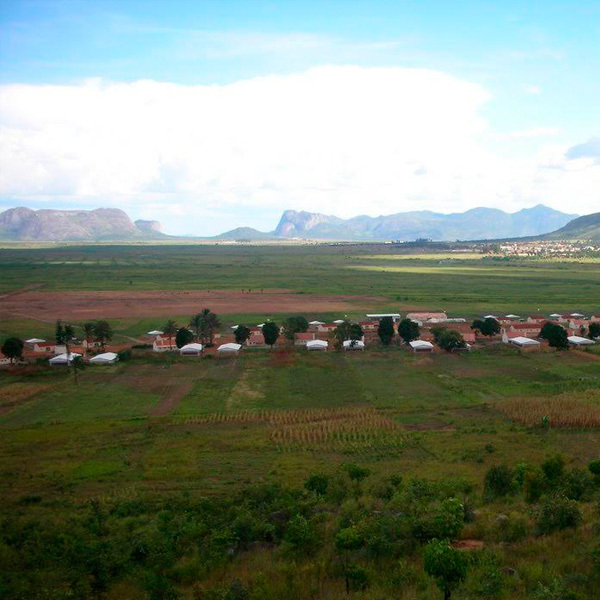 Independent communities benefiting from large economy-of-scale agricultural development. The foundation of the 5,000 hectare Adama Rivers project will be three comprehensively-planned modern villages, each consisting of homes for a hundred families. Each family farm will include 1.5 hectares of land to be used for a range of diverse farming activities, including the production of fruits, cocoa, eggs, broilers, and various traditional crops. Families will be able to bring their agro-production to a centralized Agro-Industrial Center (AIC), where they will benefit from post-harvest and marketing facilities, such as egg sorting and packaging, fruit and vegetable packing plants, and post-harvest and processing mills where more than 2,000 MT of cocoa beans can be processed annually. Other crops can be grown on a central farm, where at least 2,000 hectares will further enable open-field grain production. Employment, education, support services, and infrastructure for improved livelihoods. As part of the Rivers State project, the government will be improving and expanding infrastructure and services in the region. This includes energy, roads, and other necessary infrastructure for the development of the region and improved rural livelihood for all stakeholders. The project is expected to generate 1,000 jobs directly and another 2,000 indirectly. Adama Rivers will significantly enhance Rivers State’s local economy, helping to alleviate the high rates of poverty and youth unemployment. As with all LR Group projects, a key element will be training motivated workers and project beneficiaries in cutting-edge agricultural production practices, techniques and technologies. This will ensure that development progress is sustainable over the long term, encouraging and strengthening ongoing education for all members of the community. The vision entails children and young people being empowered to eventually join and expand profitable family businesses, improving overall livelihood. The project’s diverse agricultural production activities will generate an improved, higher-value fresh and processed food supply, value chain development, market driven service, employment, and regional economic growth. Training in advanced agricultural methods and technologies, and a state-of-the-art agricultural – industrial center, will result in farming that is clean, well-organized, and efficient. As this draws more farmers to the project, fully modernized cultivation and processing will provide Rivers State with new, sustainable sources of fresh food.